We partner with a state-of-the-art datacenter located in the heart of Chicago, IL, which offers ideal conditions for hosting websites whose visitors are located in the United States of America, Canada or Latin America. It will guarantee you the fastest web site loading speed possible. You can select the Chicago-based datacenter facility from the drop-down list on our order form. 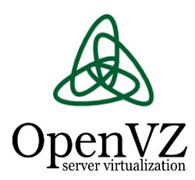 This option is available with all hosting services available on our web site - cloud hosting packages, KVM and OpenVZ-driven Virtual Private Servers, semi-dedicated web hosting servers and dedicated hosting servers. 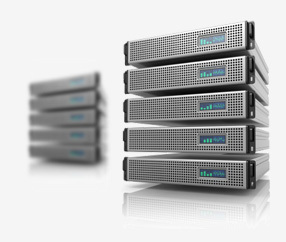 As a valued web hosting client of iClickAndHost, you will enjoy all the benefits of a state-of-the-art data center located in Chicago, Illinois, and owned by the well-known US company Steadfast Networks, which also provides the physical environment necessary for keeping the servers up and running 24 hours a day, 7 days a week. The data center where the servers are co-located has an excellent peering network, including major backbone providers, such as Layer(3), NTT, nLayer and TATA which are among the top network service providers. BGP is used for optimal route selection and automatic failover. The in-house operation center is staffed with skilled technicians that are available 24 hours a day, 7 days a week. The service is backed up by an industry-leading 99.9% network uptime SLA. Our own server network includes a vast number of servers, which are being monitored 24/7/365. 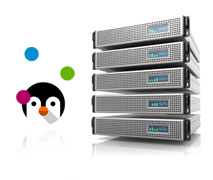 We maintain basic production servers, backup servers, as well as administrative, spare and dedicated servers.